The staff members of Currie-Jefferson Funeral Home & Memorial Gardens are caring and experienced professionals who understand that each family is unique and has personal requests and traditions. These requests and traditions are of the utmost importance to our staff, whose number one goal is to see that each family is treated with the utmost care, respect, and dignity. 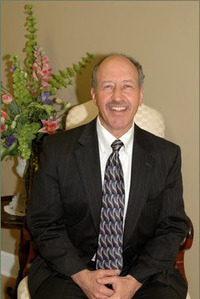 Phil has been a licensed funeral director and embalmer since 1976 and has worked in all phases of the funeral business. He received his Mortuary Science Degree from Jefferson State in Birmingham, Alabama, and his Bachelor of Science Degree from Oral Roberts University in Tulsa, Oklahoma. Having a minor in music, Phil and his wife, Julie were involved in Christian music ministry for 25 years. Having managed in both the independent and the corporately owned funeral and cemetery environments, Phil has had extensive experience in both the at-need and pre-need aspects of the funeral industry. 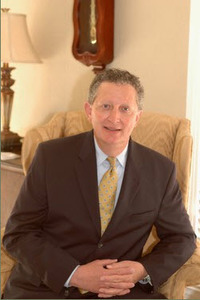 His goal is to provide the highest quality service possible to every family served at Currie-Jefferson Funeral Home and Jefferson Memorial Gardens, South. He and Julie have been married 39 years and have 3 children, 8 grandchildren and their Yorkie-Poo, Teddie. Julie handles a variety of administrative and financial responsibilities to include the accounts payable as well as the company payroll and other employee related issues. She is also a licensed funeral director through the Alabama Board of Funeral Service and occasionally lends her hand with funeral services when needed. Originally from Anniston, Julie comes from a large family and has lived in Alabama most of her life. She studied music at Jacksonville State University as well as the University of Alabama. With a background in music, Julie,and her husband Phil were involved in Christian music ministry for 25 years. She has a diploma from Oral Roberts University School of Ministry. She and Phil currently live in Trussville and they have one son, two daughters, eight grandchildren and their dog Teddie. Lisa Coalson has been with Currie-Jefferson Funeral Home since August of 2017. She is originally from Norfolk, Virginia, but has been a resident of Alabama for the last 22 years. She has three sons and two granddaughters whom she is very proud to call her own. Lisa is a 2013 graduate of Jefferson State Community College with an associates degree in mortuary science. She holds a dual license for funeral directing and embalming in the state of Alabama. After the loss of her husband in 2014, she has a deeper passion to serve families during their greatest time of need. Brooke Moore has been with Currie-Jefferson Funeral Home since February of 2016. She has worked in accounting and business administration for many years which has made her a great asset to our team. Brooke also has experience with working closely with families in their time of loss and shows great compassion for the families we serve. She is a resident of Pelham, married, has three beautiful daughters and loves being involved in her church. Jim comes to Currie-Jefferson form the New York and New England states.Before entering the funeral business, Jim had pastored three churches, taught high school English, managed a business, helped supervise a dining room in a "white tablecloth" restaurant, and given instruction in the proper use of administrative and grading software. The combination of his pastoral experience, his genuine love for people, and the experience of having lost a wife to cancer all worked together to prepare Jim for work as a Family Service Counselor and Funeral Director in the funeral and cemetery profession. 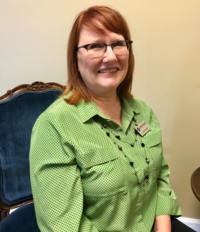 Gail is a native and resident of Shelby County and has worked for many years as a pre-need funeral and cemetery sales counselor. 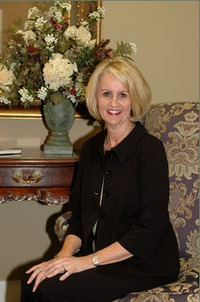 More recently having worked for several cemeteries and a funeral home in Shelby County, she comes to Currie-Jefferson Funeral Home & Memorial Gardens with 30 years experience in the funeral business. Gail is from Columbiana and is the mother of Holly, Meg and Robert Bolton. Roger brings to Currie-Jefferson Funeral Home and Jefferson Memorial Gardens, South, over 30 years in cemetery maintenance.He has extensive experience in grounds maintenance, cemetery landscaping and monument/memorial installation. His knowledge of the profession is a valuable asset to Currie-Jefferson Funeral Home and Jefferson Memorial Gardens, South. "Teddie" is a regular member of the Currie-Jefferson Funeral Home Staff. You can find her most every day greeting people at the front door, sitting in on arrangement conferences and being held by children during funeral services. She has been a valuable asset to our funeral home and she often has visitors that drop by just to see Teddie, months after their loved ones' service. 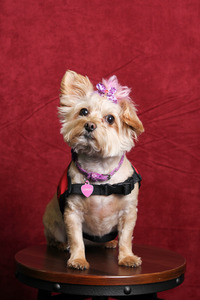 A Yorkie Poo by breed, a Registered Therapy Dog with the United States Service Dog Registry by title, Teddie is always there when a special hug is needed.